A glass fibre roof is a laminate of polyester resin incorporating two applications of 450g glass fibre matting finished with a coat of pigmented top coat, all on a new deck of 18mm plywood. 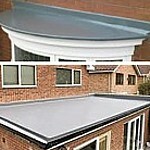 Email roof size (in metres), include a photograph if possible, any other details, for a free estimate. Boats constructed out of glass fibre last twenty plus years. 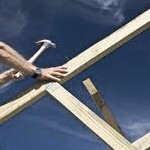 A roof will easily last as long & often will out last the structure it is protecting. 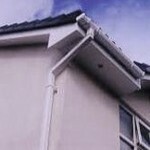 UPVC FASCIA BOARD & GUTTERING. Capping over your existing fascia board. Allowing rain water to still permeate through. Range of colours & patterns. Webpage designed and realised by Kestrel © 2011 Copyright Notice. This web site including source code, text and images is subject to the protection of the copyright laws of the United Kingdom and other countries. or in or on any media to any person other than in accordance with the terms of the owner's agreement or otherwise without the prior written consent of the Owner. Please note: You must not copy or link directly to the images on this site without permission.